Vision is a preferred future. A destination. Vision always stands in contrast to the world as it is. Visioneering, according to bestselling author Andy Stanley, is “a clear mental picture of what could be, fueled by the conviction that it should be.” With warm, down-to-earth practicality, Andy Stanley explores the ordinary life of Nehemiah and his God-given vision for accomplishing the extraordinary. He shows how the life of this great ancient visionary, determined to rebuild the ruined walls of Jerusalem, reveals principles that can prepare us to find and follow God’s multifaceted vision for our own lives. Now this bestseller is again available in an attractive, affordable paperback! You can end up somewhere on purpose! 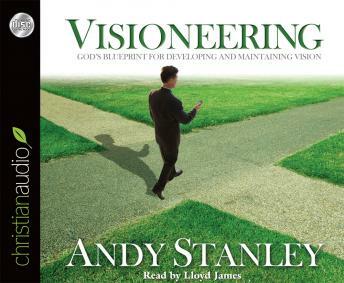 In the bestselling Visioneering, Stanley builds a compelling case for the necessity of a clear, God-ordained vision for each of the roles of your life. Whether you’re a parent with a vision for your children or a CEO pursuing a corporate vision, Visioneering is the perfect tool to help you develop and maintain God’s unique purpose for your life.